Preheat oven to 375 degrees. Position one rack in the lower middle. Melt butter in a small pot over medium heat. Add flour and whisk well for about 2 minutes. You now have a roux. Add milk and whisk well again. 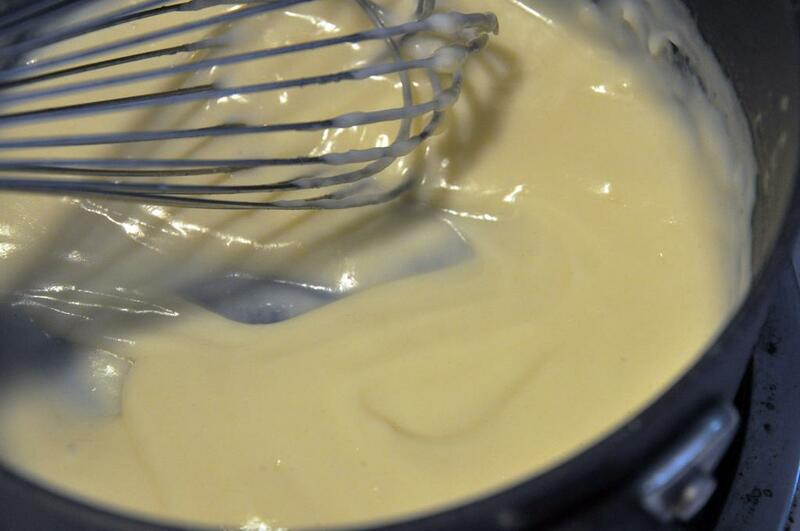 You now have a béchamel. 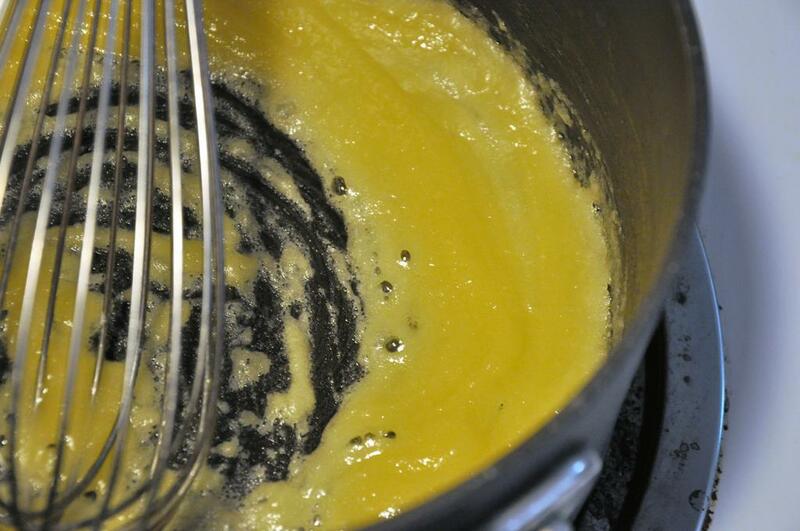 Add 4 egg yolks and whisk well again. I don't think that's called anything. 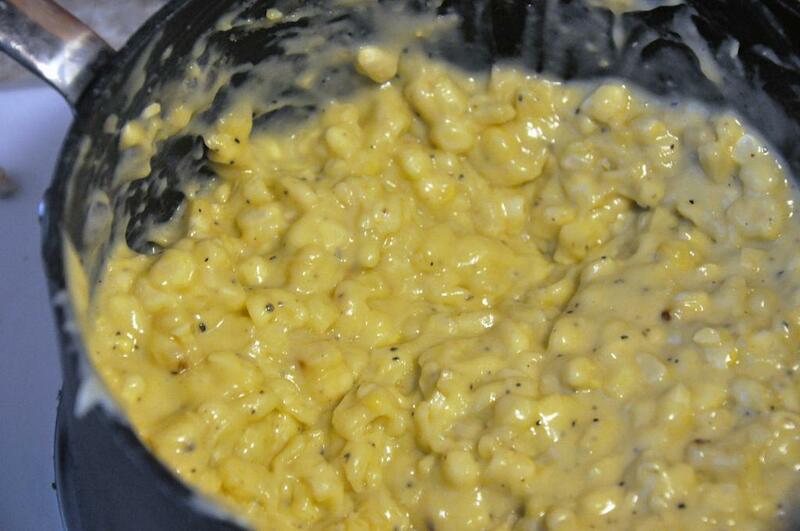 Mix in cheddar, corn, pepper and nutmeg until cheese is melted. Turn heat to low. 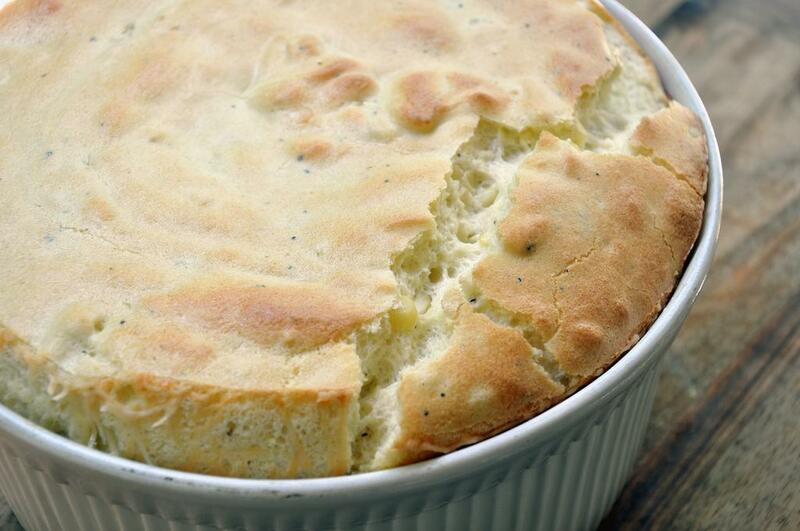 Meanwhile, spray a six-cup soufflé dish with cooking spray. 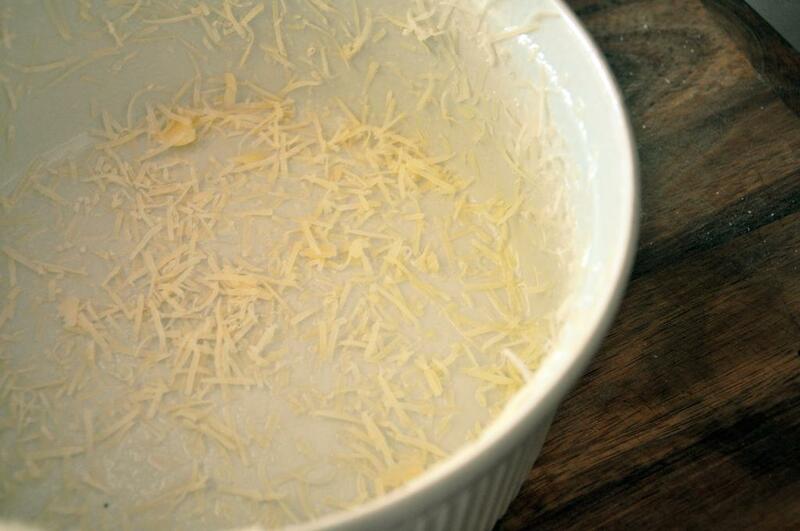 Sprinkle parmesan cheese on the inside - both the bottom and sides. Make a collar using wax paper or foil and use 2 metal pins to secure it. Set aside. 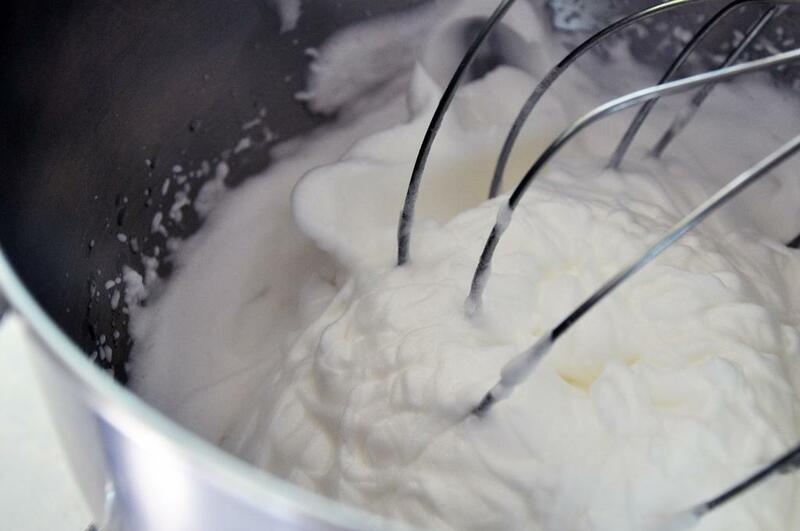 In a stand mixer or with a hand mixer, beat the 6 egg whites with the cream of tartar and salt on high until stiff peaks form, about 4 minutes. 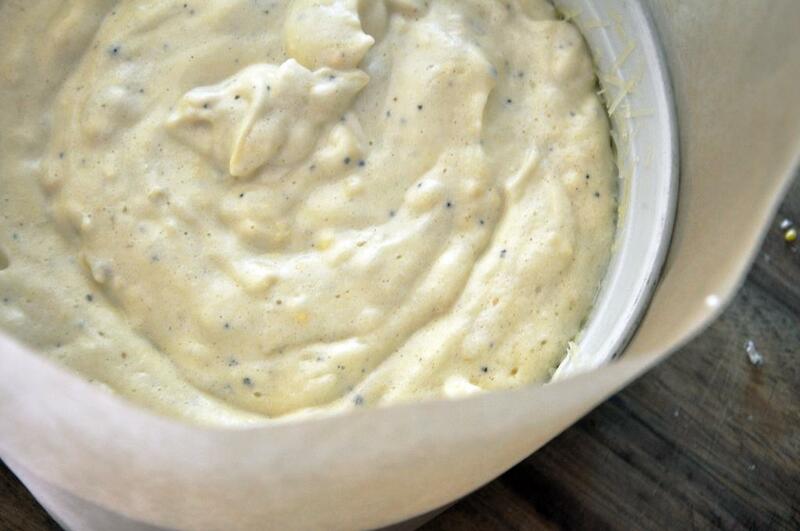 Remove the cheese sauce from the heat and gently fold in a large dollop of the whites. Then make a space in the egg white bowl and pour the sauce in. Gently fold the whites into the sauce turning the bowl with each mix. 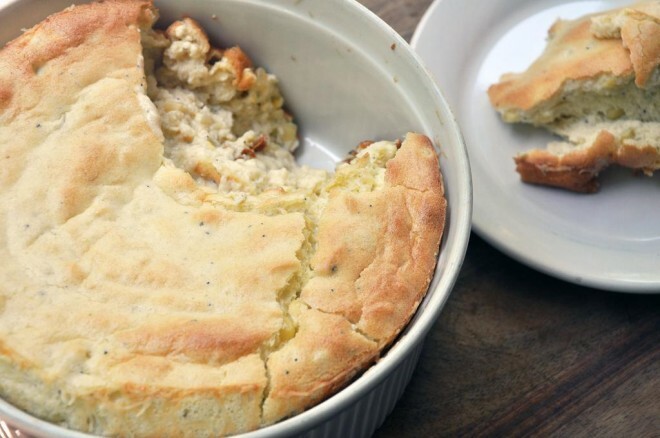 When it's well-incorporated, gently pour the mixture into the soufflé dish. With a spoon or scraper, make a shallow circle an inch or two from the sides. Bake for 30-35 minutes. Don't open the oven before 25 minutes. Remove and serve immediately - the soufflé will naturally fall within 5-10 minutes.